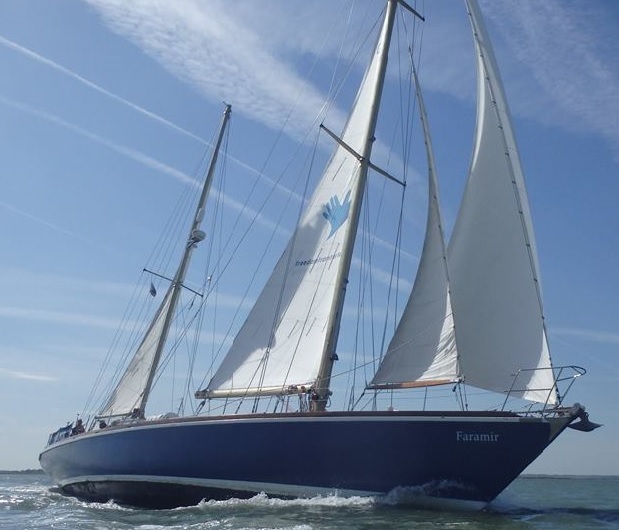 We have 6 places available for an adult voyage aboard Faramir from next Mon 19 Oct to Fri 23 Oct sailing from and returning to the Royal Harwich Yacht Club, Woolverstone, Suffolk. This promotional voyage is open to anyone aged 18 or over and is at the special offer price of just £300 per person including food. Waterproofs and life jackets are available on board but you would need a few changes of warm clothes, bedding and a passport. Anyone interested should contact Colin Boughton-Smith on 07730 059405 for more details.